What were the framers of the Constitution thinking in the summer of 1787 when they gave us the Electoral College system responsible for the odd election in 2000? Is it true, as many reporters claim, that the Electoral College was designed simply because the country's founders did not trust the people? When you actually look at the record from the Constitutional Convention, you will find several different reasons for the design of the Electoral College system. Some of the Constitution's framers actually did want the President selected by the general population. The Electoral College was designed as a compromise between the interests of the big and small states. It was also a compromise between the power of the new national government and the state governments. Because communication between and among the states was limited, the Electoral College was a way to make sure candidates from everywhere in the nation were considered. Having a popular election was seen by some as logistically impossible. The framers did not anticipate the existence of political parties. Parties help shape the national debate and make picking candidates easier -- but without them, a system like the Electoral College would be necessary to sort through the chaos. Madison's notes reveal a great deal about what the framers were thinking, and they are an invaluable resource for historians who want to understand the framers' intentions. The records from the convention make it clear that the framers did not uniformly agree about anything, and it is plainly false to claim they didn't "trust" the people -- after all, the system they designed gave the general population power to pick the people who, in turn, selected Senators and Presidents. That sentence should confuse you, especially the last part; remember, this was some time before the framers decided that the Senate would have two members from every state. 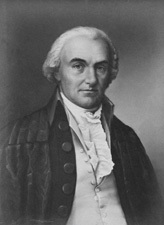 Randolph and his rhetoric won the argument for the time being: every state voted against Gerry’s proposal, except Delaware, which was divided. Even Gerry’s own state of Massachusetts voted against it. Should the People Pick the President? That was June. They returned to the topic occasionally, and on July 17 it saw much more action. On that day, they were no longer debating whether the governors should pick the President. Now they were debating whether the Congress should pick the President or whether the choice should be left to the people. When you read that debate, you can hear the populism and elitism and sectionalism clashing and thrashing about, as they have ever since. James Wilson (a Pennsylvania lawyer): "If the President were elected by the Legislre., he 'would be too dependent to stand [as] the mediator between the intrigues & sinister views of the Representatives and the general liberties & interests of the people.'" So there followed on that day three votes. First they voted “on an election by the people instead of the Legislature.” That vote failed, with only one state (Pennsylvania) supporting a popular vote. Second, a surprise idea! “Mr. L[uther] Martin moved that the Executive be chosen by Electors appointed by the several Legislatures of the individual States.” But even that vote, which seems so similar to our modern Electoral College, failed. Only Delaware and Maryland approved of it. Finally, they voted on the words “to be chosen by the Nationl. Legislature.” It passed unanimously. They were still far from a final decision on anything at that time. Heck, they were still uncertain whether the president should stay in office for seven years or not. On July 19 (two days later) they fought about it again. Madison made a heart-felt plea in support of the separation of powers (“There is the same & perhaps greater reason why the Executive shd. be independent of the Legislature, than why the Judiciary should: A coalition of the two former powers would be more immediately & certainly dangerous to public liberty”). And then came the voting. First, they voted on whether the “Natl. Executive [shall] be appointed by Electors?” The northern states said yes, the southern states said no. But they indefinitely postponed the decision to approve Ellsworth’s ratio of electors. So pick 'em with straws, and lock 'em up till they choose the President! They bickered and bantered and battled over the presidential selection for months afterwards. They returned to the idea of a legislature-vote again. At one point they proposed having the president selected by a panel of six Senators and seven Representatives - in fact, that was quite late, on September 5. Finally, the next day, they settled the matter. They still argued about it, but now instead of arguing in terms of corruption and cabals and tyranny, they were speaking philosophically. In part, this was because Alexander Hamilton was present, and vocal. They discussed the “aristocratic complexion” of the office of the President and other such high-flying notions before knuckling down to the tedium of the selection process. Should the Electors meet in a single place - the seat of the government? No, it was decided they should meet in their own states. Should they “transmit” their votes to be opened “in presence of the Senate and House of Representatives”? Yes, where the President of the Senate shall open the votes from the states and count them. Shouldn’t every Elector be required to vote for somebody not from his own state? Yes. And thus was born the Electoral College, our presidential selection system that means (1) a person “elected” president by the people is not really elected until January 6 when the votes are counted, (2) if somebody dies, everything gets messed up, and (3) it is possible for a majority of the U.S. to vote for someone but that person can lose anyway. The Electoral College is addressed in an essay written by Hamilton in support of the new Constitution (Federalist No. 68). It is appropriate to conclude with Hamilton's thoughts. “Nothing was more to be desired than that every practicable obstacle should be opposed to cabal, intrigue, and corruption. These most deadly adversaries of republican government might naturally have been expected to make their approaches from more than one quarter, but chiefly from the desire in foreign powers to gain an improper ascendant in our councils. How could they better gratify this, than by raising a creature of their own to the chief magistracy of the Union? But the convention have guarded against all danger of this sort, with the most provident and judicious attention. They have not made the appointment of the President to depend on any preexisting bodies of men, who might be tampered with beforehand to prostitute their votes; but they have referred it in the first instance to an immediate act of the people of America, to be exerted in the choice of persons for the temporary and sole purpose of making the appointment. And they have excluded from eligibility to this trust, all those who from situation might be suspected of too great devotion to the President in office. No senator, representative, or other person holding a place of trust or profit under the United States, can be of the numbers of the electors. Thus without corrupting the body of the people, the immediate agents in the election will at least enter upon the task free from any sinister bias. Their transient existence, and their detached situation, already taken notice of, afford a satisfactory prospect of their continuing so, to the conclusion of it. The business of corruption, when it is to embrace so considerable a number of men, requires time as well as means. Nor would it be found easy suddenly to embark them, dispersed as they would be over thirteen States, in any combinations founded upon motives, which though they could not properly be denominated corrupt, might yet be of a nature to mislead them from their duty. “Another and no less important desideratum was, that the Executive should be independent for his continuance in office on all but the people themselves. He might otherwise be tempted to sacrifice his duty to his complaisance for those whose favor was necessary to the duration of his official consequence. This advantage will also be secured, by making his re-election to depend on a special body of representatives, deputed by the society for the single purpose of making the important choice. 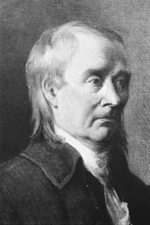 “All these advantages will happily combine in the plan devised by the convention; which is, that the people of each State shall choose a number of persons as electors, equal to the number of senators and representatives of such State in the national government, who shall assemble within the State, and vote for some fit person as President. Their votes, thus given, are to be transmitted to the seat of the national government, and the person who may happen to have a majority of the whole number of votes will be the President. But as a majority of the votes might not always happen to centre in one man, and as it might be unsafe to permit less than a majority to be conclusive, it is provided that, in such a contingency, the House of Representatives shall select out of the candidates who shall have the five highest number of votes, the man who in their opinion may be best qualified for the office.